It was obviously Christmas time. We had our tree up. 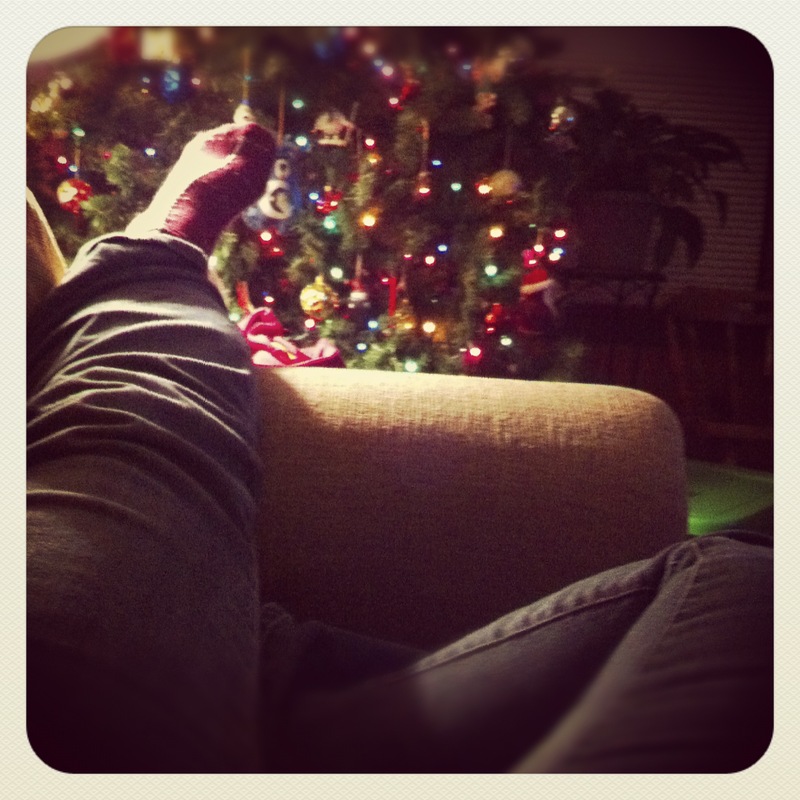 I was relaxing on the couch enjoying some peace and quite after the kids had gone to bed. I was content and at ease. I was cherishing the moment of sitting in front of our tree we had decorated as a family. So, I took a photo to remember the moment. I realized just now, I am sitting on the same couch, the exact same way right now while I am typing this. HAHA! I guess that’s how I roll. Hard to believe Christmas time is just around the corner again.